When searching for an experienced and insured roof installers in the Canton area, look no further than Eastbrook Construction. Eastbrook Construction has decades of roofing experience and help you decide which materials and shingles are best for your new roof. At Eastbrook we take the time to sit with our clients and see exactly what they need, from architectural shingle roofs, asphalt shingle roofs, new construction roofs or roof repair we can do it all. Furthermore architectural roofing shingles are a new-generation of high quality asphalt roofing with a much more distinctive and dramatic appearance. Architectural roofing gives a unique three-dimensional appearance that other shingles do not and they can look like cedar wood shakes. We are certified roof installers that install both GAF Shingles and CertainTeed Shingles. 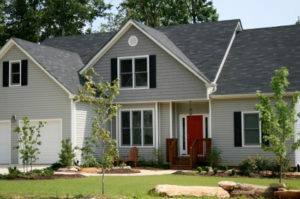 GAF and CertainTeed shingles comes with a warranty and are the industry standard when it comes to shingles. Eastbrook Construction handles your roofing job quickly and professionally with a guarantee to back our work. Along with Canton, Eastbrook Construction installs roofs for Livonia, Westland, Novi, and many other surrounding areas! Has recent storms damaged your roof? We can repair or restore most any roof that was damaged by wind, snow, ice or other harsh weather. Give Eastbrook Construction a call today at 248-877-9247 or use our easy contact form and see why in the Canton area, the best roof installer is Eastbrook Construction. Finally, contact us today so we can sit with you and help you determine the roof that is best for your home. Also we will provide a safe and appealing look for your home for years to come.